Changes in feed-in tariffs for power from solar photovoltaic panels could give the industry a shot in the arm as they end problems over built-in and self-use systems. 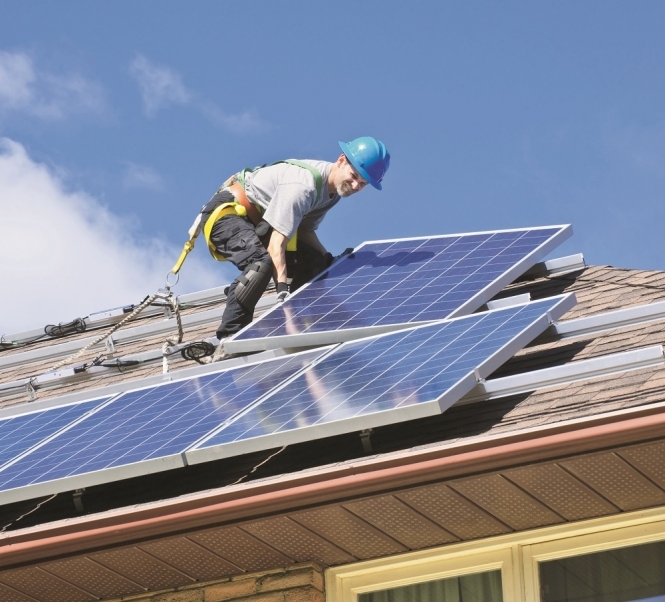 New Commission de Régul­ation de l’Energie buy-back tariffs for total production (where the house owner does not use the power for their own use) is ending a restriction where the tariff for built-in units was higher than that for those laid on top of the roof. Built-on systems of under 3kW peak output will be paid 18.7 centimes/kWh (a significant rise from 5.6) while same-sized built-in systems (called IAB for Intégration Au Bâti) will be paid the same plus a reducing 4.5 centimes/kWh bonus that will fall to zero in late 2018. Under ‘feed-in tariffs’, EDF contracts to buy the power over 20 years and the new tariffs apply to all systems, including those already working. Rather than selling all their power to EDF, owners can also use it themselves – known as autoconsommation­ – and sell the surplus to EDF being paid 10 centimes/kWh (up from the 5.6 centimes previously).